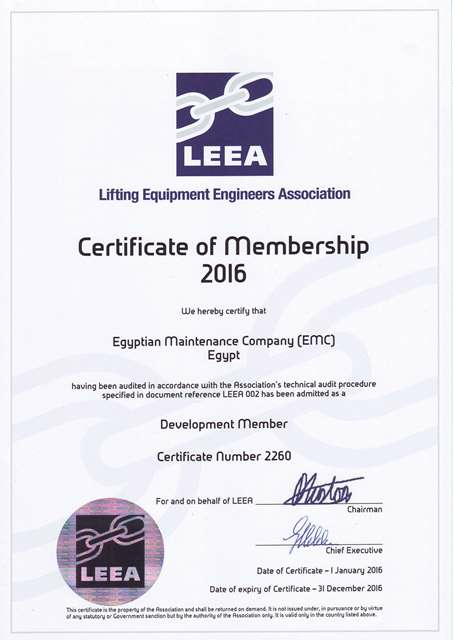 EMC succeeded respectively to renew its membership at Lifting Equipment Engineers Examination Association "LEEA". The Certification enables EMC to carryout lifting equipment inspection for other companies and issue certificates to clients. EMC will provide these world class services to its respectful Clients With total conformity with “LEEA” standards to ensure offering our best experiences to our clients.